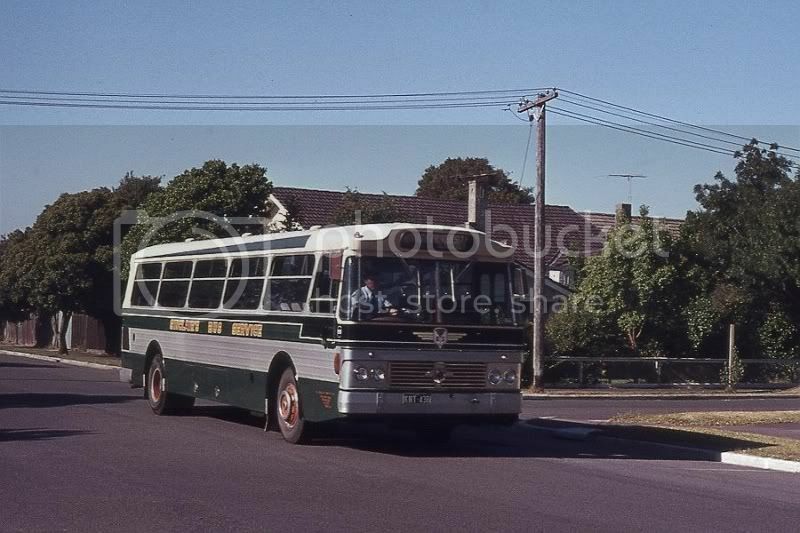 Sinclair's Bus Service, Murrumbeena placed two Leyland Lion buses in service in 1970. KNR479 (#37) and KNT438 (#38) had Leyland Lion PSR1/1 chassis numbers 701418 and 701417, respectively, and carried PMC 41 seat dual entrance bodies, numbers 1337 and 1340. Can anyone tell me, please, the exact month in which they entered service and any subsequent history of the two buses - i.e. withdrawal dates, subsequent operators (with dates into and out of service, regos, etc), ultimate fate (scrap?, movan?). Any help given would be most appreciated. Favourite Vehicle: It has got to be a Foden! whether it is still around who knows. my memory says 37 had rego of KNR379 ? HOWEVER, both struck problems with Victorian regulations regarding front overhang and had to be sent back to PMC for modifications which shortened them (at the front) by a few centimetres and took six months. System Improver has got it right on the into service part. At the other end, both were sold to the same camper dealer at Narre Warren and became motorhomes - though only one appears to have been subsequently sighted in use. 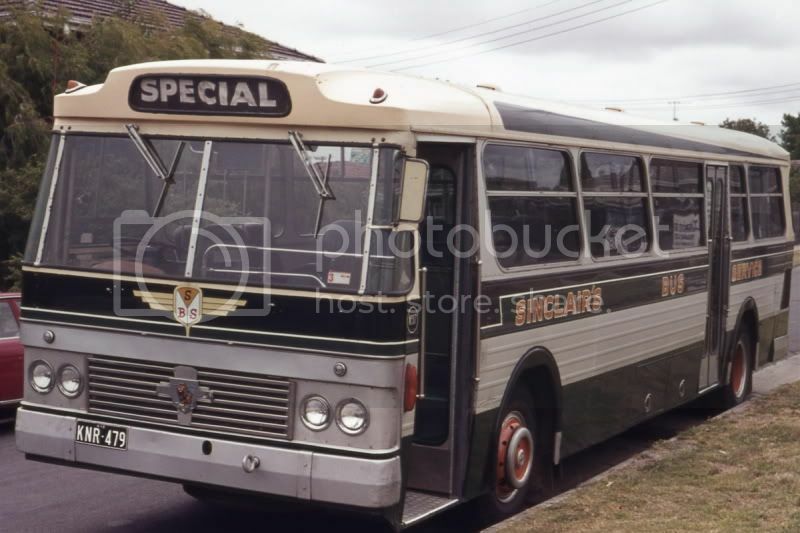 Their sale date was Sept-Oct 1986 as they were replaced by the new Volvo B10M/ Volgrens. I can't say I share the same boundless enthusiasm for these units - my recollections of going past the depot from the mid 1970s onwards is that all too often one or other of these two was stuck engineless in the back corner of the yard and it took quite some time to score photos of both in fit and well condtion. Many thanks for the responses, which has filled in quite a bit of useful information for me. I am currently writing the second part of a two-part article for the Leyland Society, back here in the UK. The subject is Leyland Lions (LPSR1/1 and PSR1/1). The first part, already published this year, covered the general Lion concept and as much as we knew about the LHD LPSR1/1 units. There were more of these than the RHD PSR1/1 chassis, with the vast majority going to Iran. Unsurprisingly more is known about the RHD buses and coaches, though as expressed in my opening post, there were some gaps. Your help has closed a few of those gaps. I hadn't realised that they had suffered from dimensional problems with the authorities for one thing. They do seem to have had quite long lives with Sinclair's, certainly compared with other Lions, though it doesn't surprise me that they ended up as movans. Maybe one reason for the longer lives was that they had to be kept longer to justify all the expensive sounding engine repairs! As always, any further contributions are very welcome. PS There is a similar request for information under Cumberland Coaches Lion in the N.S.W. section. I started with Sinclairs Coaches back in 1970 and stayed until 1973 when I married but returned a couple of years later for a longer spell this time. I found John, Charkie, Bill & Reg a great family to work for. I started driving the Freighter bodied AEC #27 doing tours as well as local charter, progressed to Denning/GM #46 then finally the famous Moonraker/GM. Wonderful days with the company. 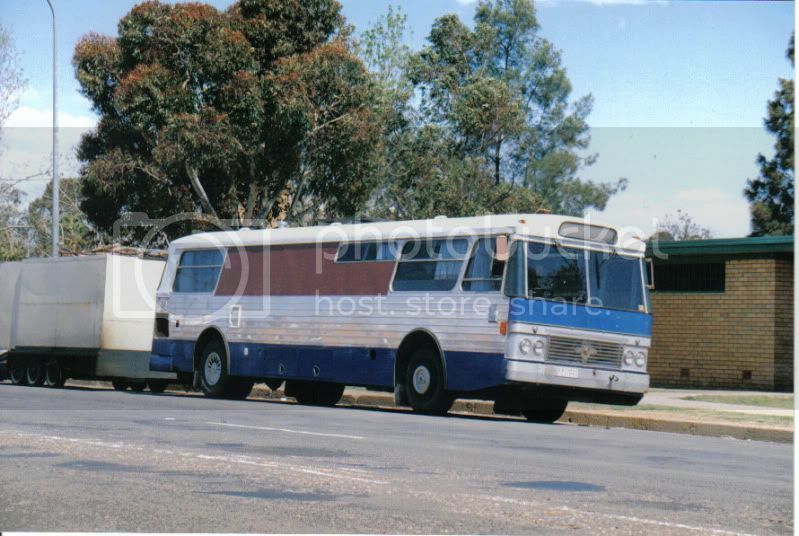 I do remember some of the other buses/coaches in the fleet especially the ''twins'' , Freighter bodied two door Leylands as well as later Leyland/Albion route service vehicles on the Monash Uni./ Elwood Beach run. Over the Christmas break John would roster me on to that run for a couple of weeks as other drivers took their holidays. It was an interesting time making the transition from charter/tours to route service, especially the mid-night finishes. When Sinclairs took on Greyhound Express I was drafted into that side of the operations, firstly behind the counter in the Bourke St. terminal before finally taking on a driving role. Absolutely loved the Silver Eagles. I still today have contact with John through a friend who introduced me to John back in 1970 as a 24 year old who had no experience whatsoever after spending just over a year with Australian Pacific as a motor-trimmer, gained my heavy rigid licence while with them but learned very quickly. Sinclairs were recognised as leaders in the industry at that time and had a great fleet, good staff and excellent maintenance, what more could one ask for in a company?